One of Stoner Metal’s legendary bands returns with their new album – Arch Stanton. It sees Karma To Burn at a crossroads at their career. 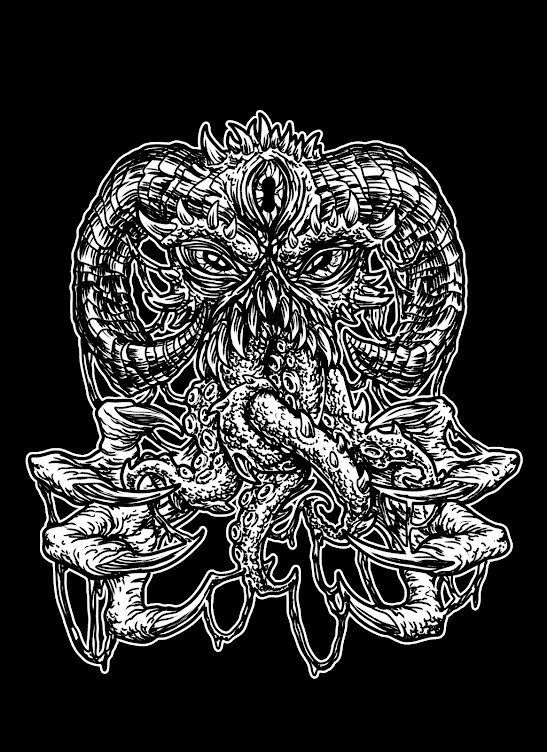 Where do they go from here as they have pretty much ruled the Instrumental Stoner Metal scene since they reformed back in 2009. This is their 3rd album since then and 6th overall. There have been a few casualties along the way with Lead Guitarist – Will – being the only member left from the classic K2B line-up . As drummer Rob Oswald quit music altogether back in 2012. Bassist Rich Mullins left the band last year. Therefore, Will is the only member left from this bands rich musical legacy. 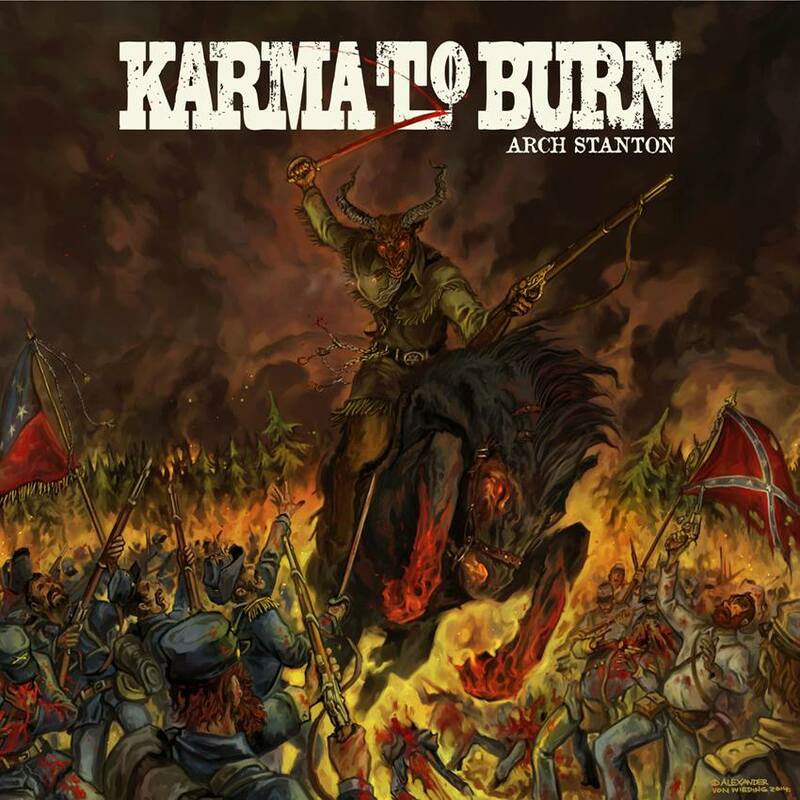 Can Karma To Burn live upto past glories with their new album or will it burn too quickly as with their last album V.
Arch Stanton is their best album in years as it more than matches the output of their earlier classic albums. The album positions Karma To Burn as the King of the instrumental stoner metal bands. They still can show the young pretenders to their throne a trick or two. First track – Fifty-Seven – features a faster paced vibe with the old magic still there with elements of classic K2B swagger for everyone to hear. It is a superb track to open the album with as it proves that K2B know how to write a truly passionate riff to get your pulse racing. The album is heavily influenced by Sergio Leone classic – The Good, The Bad and The Ugly. As Arch Stanton is the name on grave where the buried treasure is hidden. Look at the awesome album cover designed by Alexander von Wieding who designed the album covers for previous K2B releases such as Appalachian Incantation and V.
The album plays out like a lost soundtrack to that classic western. It has its fair share of thrills and spills that can match any classic on-screen gunfight. This is classic K2B territory with the bands legendary style of fast-paced stoner metal riffs sounding fresher as they have ever been. Tracks such as Fifty-Six, Fifty-Three and Twenty-Three show that that K2B have a more stripped back approach. It is a lot more direct with the band are not afraid unleashing some of the heaviest riffs of their career. Will is on fire through out as his guitar work is impressive as ever. Will has excellent support from Evan on drums and Rob on bass. My fave ever K2B track is 20 and it still remains a fan favourite to this day. 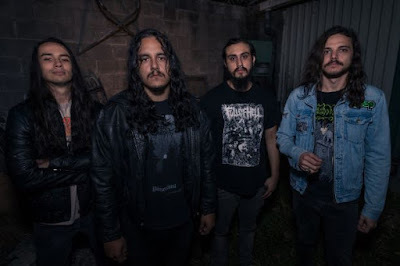 Though that may soon change with the epic last track on the album – Fifty Nine – which is a track where the band have mixed soundclips from The Good, The Bad and The Ugly with their trademark Stoner Metal riffs for one thrilling ride that will leave you on the edge of your seat. Arch Stanton is a thrilling and explosive ride. It firmly puts Karma To Burn at the forefront of Instrumental Stoner Rock. On this form, no one comes even close. Be prepared to be blown away. Thanks to James at Prescription PR for sending me a promo to review. Arch Stanton will be available to buy from FABA / Deepdive Records from August 18th 2014.